'My Toy' Photographed in the Massai Mara, Kenya. 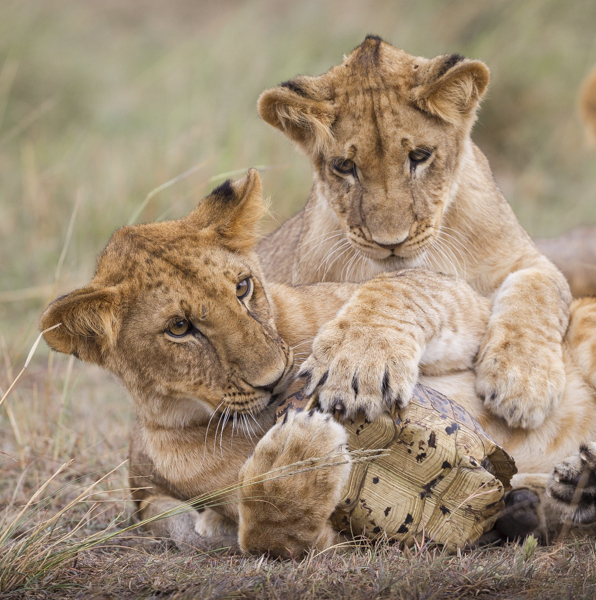 A pride of 18 months old Lionesses were competing for and playing with a Leopard Tortoise. This image was chosen as a a finalist in the 2016 Dubai HIPA competition and has made it through to the final selection of the 2017 Natural History Museum Wildlife Photographer Of The Year. Last year saw an entry of 50,000 images from 82 countries! Hamdan International Photography Award (HIPA) is an international photography award, founded in 2011 under the patronage of crown prince of Dubai sheikh Hamdan bin Rashid bin Mohammed al Maktoum.